On August 7, 2018, we invite you back to the forest. With delightful fairies, gnomes, and crafts that celebrate each season of the year. From a family of fairies, to new critters like a fox and lavender mouse, to toys like a shooting star beanbag, to decorations like garlands and ornaments, this book shares the foundational skills alongside new techniques that will enchant children of all ages. We deliberately appeal to both boys and girls with colors and variations that will inspire entire families. You can pre-order the book on Amazon before August 7 by clicking here. We are so excited to share an entire new collection of fairy crafts with all of you! Forest Fairy Crafts is home for whimsical crafts and toys for children. Perhaps you are helping a child learn to sew. Or a creative adult making treasured toys for children. Or a mindful teacher inspired by handcrafts. Welcome! We are a resource for parents, homeschool programs, classroom teachers, scout leaders, and grandparents. 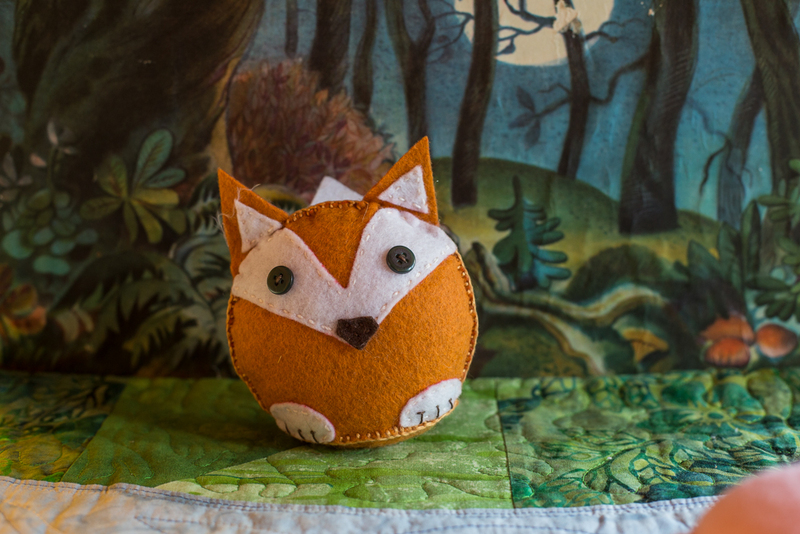 We share our tried and true tricks for successful sewing and toy making. Explore the forest. Imagination awaits! Sign up for our Newsletter here for projects and inspiration delivered to your inbox. We believe in the value of slowing down. We believe that sharing time together is valuable. We believe that handmade toys and gifts are treasures. We believe that all children, girls and boys, younger and older, learn valuable skills while having fun crafting. We believe in the magic of making. The change of season may bring beginnings. New school year, new enrichment classes, new gatherings with friends. Fairy crafts were first created in a classroom. Crafting with friends is fun! We are creating new projects to share. For updates, sign up for our new Newsletter. We are so excited to share more projects with you! 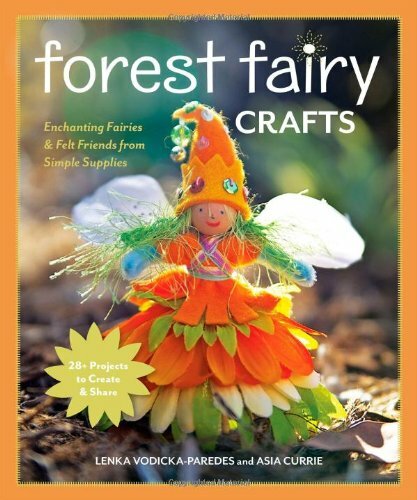 Our new book is Magical Forest Fairy Crafts Through the Seasons*. We celebrate all the ways the seasons bring magic to the world. From spring blossoms to winter ornaments, the fairy forest inspires all year. This book, also with FunStitch Studio at C&T Publishing, releases in August of 2018. Reserve your copy today here*. *This is an affiliate link so a small amount is given to the forest with each order while your price remains the same. Thank you! Our first book was published by FunStitch Studios at C&T Publishing. Our book shares 28+ projects. Each project has a girl and a boy version of the fairy or craft. The first draft used over 500 placeholders for images because we know that children (and many adults) are visual. We wanted to show each step along the way. The amazing team at FunStitch Studios chose lovely colors and layouts. The book is a true labor of love! Along with the crafts, we share tips for stitches and successful hand sewing. The Forest is delightful to share with family and friends. *please note, links may be affiliate links that allow us to receive a small amount from Amazon if you choose to purchase a book. Your price remains the same. We appreciate your support of the Forest!